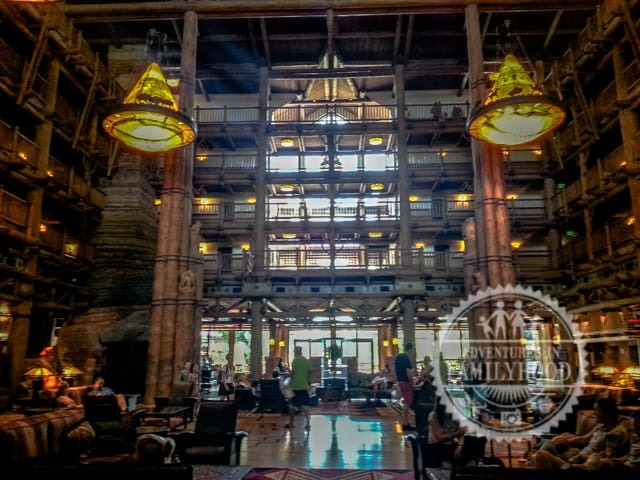 We recently stayed at Disney’s Wilderness Lodge Resort and it jumped up to the top of our list of best Walt Disney World Resorts! 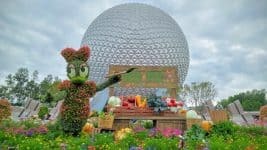 For more Walt Disney World deluxe resort reviews, check out the other great posts from the Blogorail! Walt Disney World boasts quite a few options for Deluxe resorts, so what is it for us that makes Disney’s Wilderness Lodge so unique? 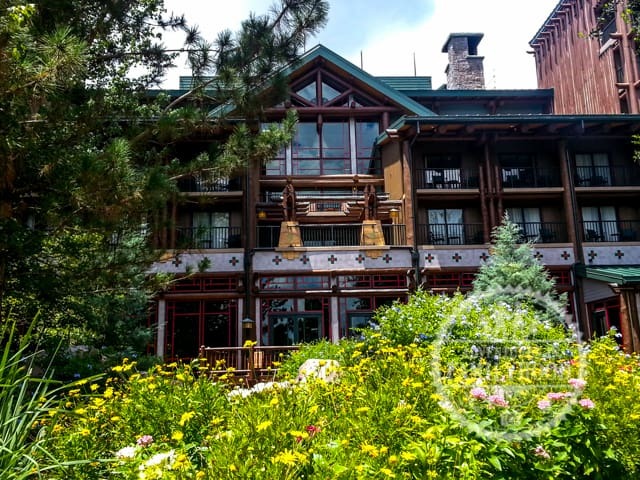 Disney’s Wilderness Lodge is a great example of what Disney does so well. It strikes the perfect balance between elegance and comfort. 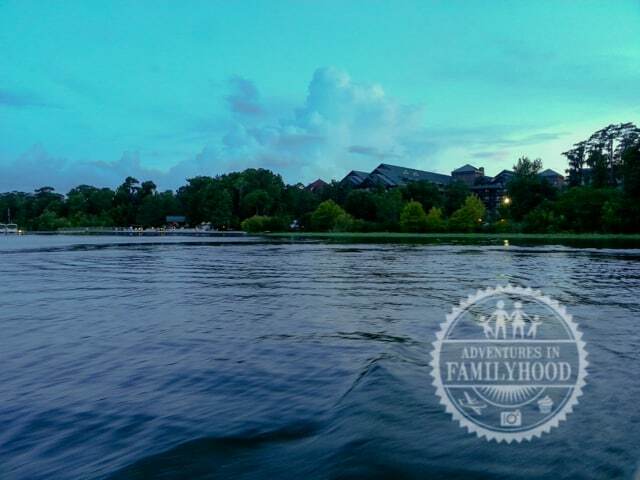 You’ll feel like you’re in a different world while being just a short boat ride from the Magic Kingdom. 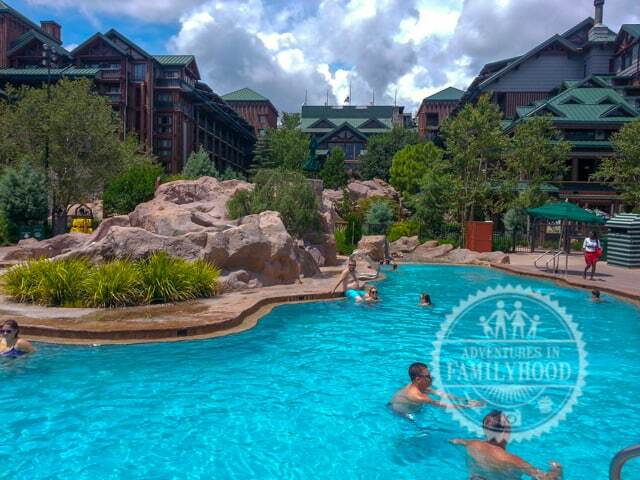 Disney’s Wilderness Lodge is a Deluxe Resort situated on the shores of Bay Lake. Its theme is inspired by turn-of-the-century national parks lodges. It features over 700 guest rooms and over 100 Disney Vacation Club villas, and it’s currently being expanded to include cabins along the shore. The design is quite simply something you wouldn’t expect to see in Florida. The main building is basically a giant log cabin. The lobby is 6 stories high and the combination of rustic design and decor paired with the natural light pouring in make you feel like you are still outdoors, even when you’re inside. There is even a bubbling spring INSIDE that is the source of water for the outside river that leads directly to the pool! How amazing is that?! 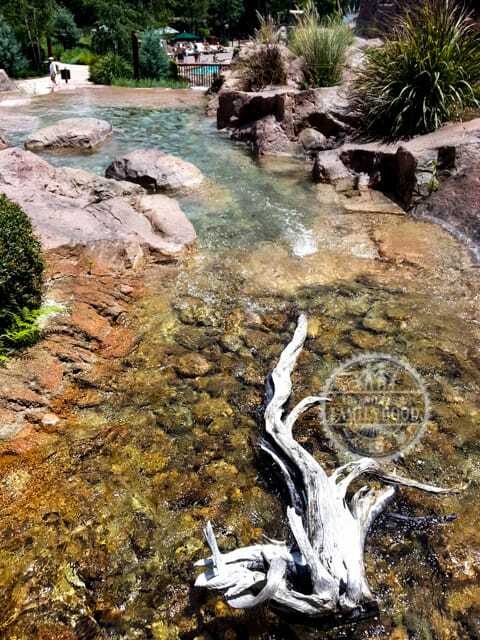 And not to be satisfied with just recreating the feel of being in a national park lodge, Disney went and created its own version of “Old Faithful”. The Fire Rock Geyser erupts on the hour from about 7am to 10pm. One of the big selling points of Disney’s Wilderness Lodge is its location right near Walt Disney World’s most popular theme park. It’s not quite as close as the resorts on the monorail loop, but being tucked away just out of sight from the park gives it a feeling of seclusion. It just makes it more relaxing and satisfying when you put your feet up, in my opinion. You just feel like you are somewhere else. 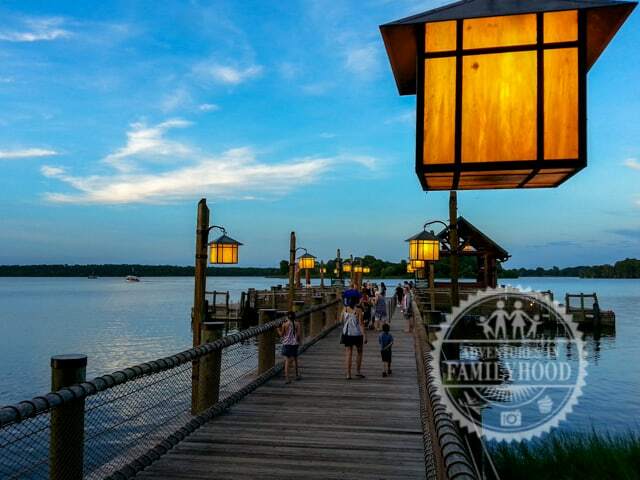 While the resort doesn’t offer any views of the Magic Kingdom, the park is just a short boat ride away. And if you are feeling like maybe you are missing out on having a resort view of the fireworks, those same boats can take you over to the other deluxe resorts where you can enjoy their amenities and views even though you’re not staying there. 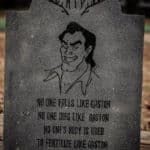 So you aren’t sacrificing much by the way of convenience or special experiences, and you gain that extra immersive theming that Disney is famous for. Of course, being a Disney resort, the Wilderness Lodge is not simply a beautiful tribute to the lodges of the Pacific Northwest. There are also plenty of Disney touches to be found. 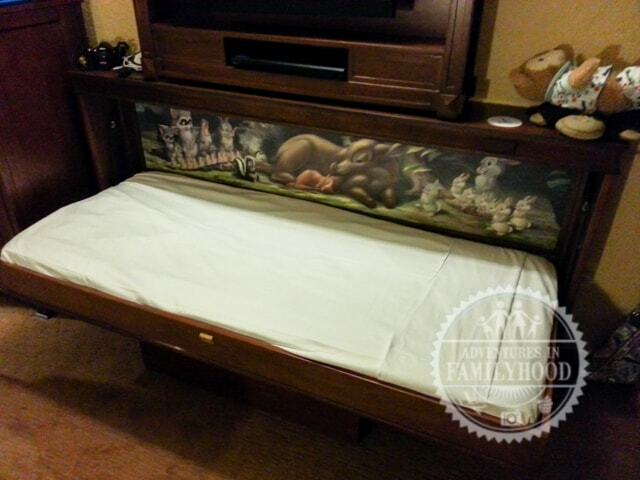 We won’t spoil it by telling you where the Hidden Mickeys are, but be sure to look for them. 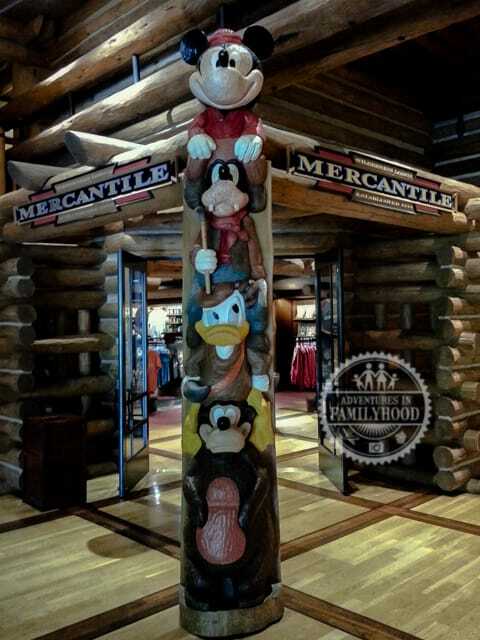 Among the many totem poles is this one featuring Disney Characters. Can you name them all? One of my favorite spots in all of Disney’s Wilderness Lodge is the Carolwood Pacific room, which pays tribute to Walt Disney’s love of trains. It’s located on the DVC villas side, but you don’t have to be a member to visit it and enjoy it. On the lodge side, the resort offers spacious 340 sq ft rooms that come with 2 queen beds. These rooms start at around $300/night. There are some rooms that feature a bunk bed in place of the second queen bed. Those look fun for the kids. There are also Club Level rooms and a larger deluxe room that sleeps 6 with 2 queen beds and a pull-out queen sofabed. On the DVC side, you have studio, 1-bedroom and 2-bedrooms suites available. The studios sleep 5 thanks to this cute pull-down bed. Here is the points chart for 2017. For the kids, there is plenty of recreation to be found. The main swimming pool offers relaxing waters with a stunning view of the resort. The way the water bubbles down into the pool from the resort is an extra-special touch. It does have a modest waterslide for the kids, but they might be more interested in the cool splash area just a few feet away. 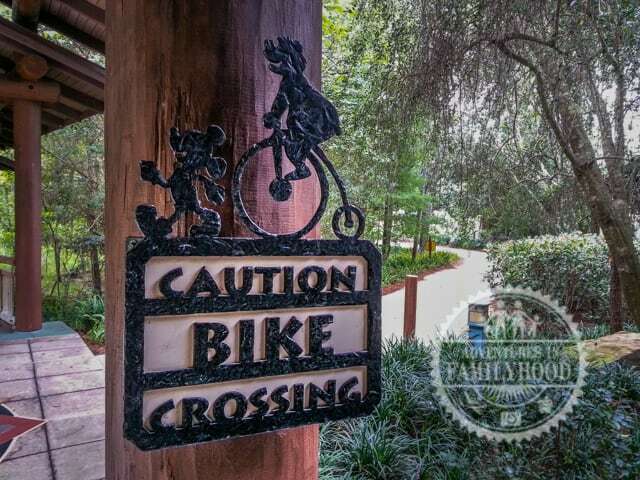 In addition to pool swimming, there are biking and jogging trails that meander through the grounds and wooded areas between the Wilderness Lodge and even connect to the nearby Fort Wilderness Campground Resort. 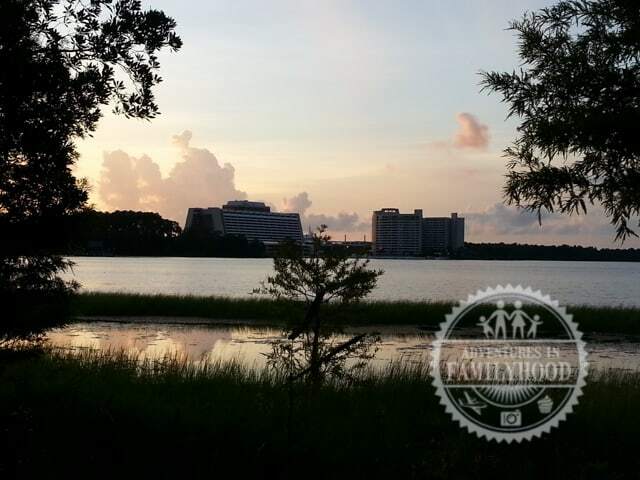 The trails offer great views of Bay Lake. It’s a great way to unwind after dinner. 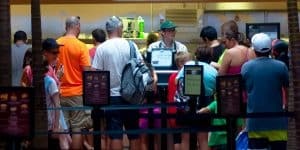 Speaking of eating, Disney’s Wilderness Lodge boasts a good selection of places to get a drink or a bite. 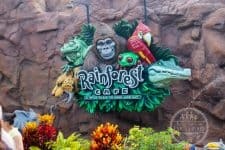 Roaring Fork offers one of the best breakfasts you can get anywhere in Walt Disney World!! 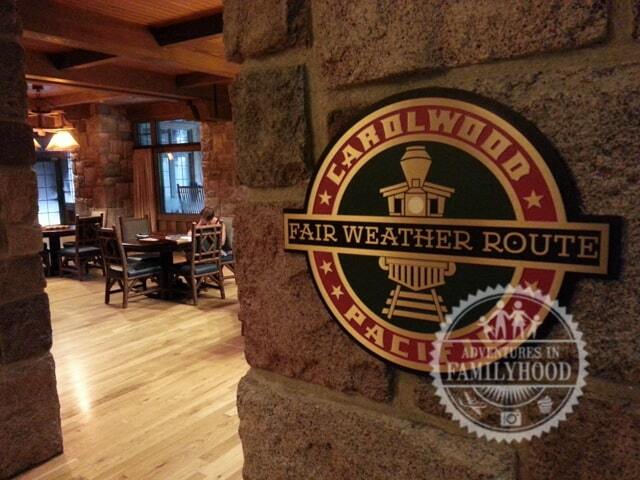 Whispering Canyon Cafe is a fun family restaurant that is sure to entertain as well as fill you up. 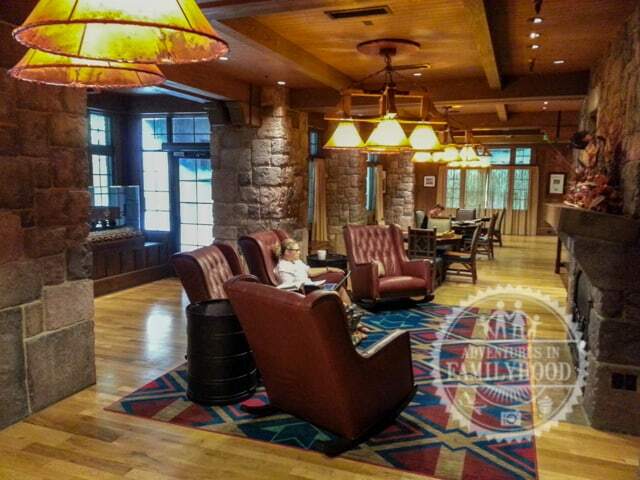 Artist Point is a more refined place to eat that is still family friendly. 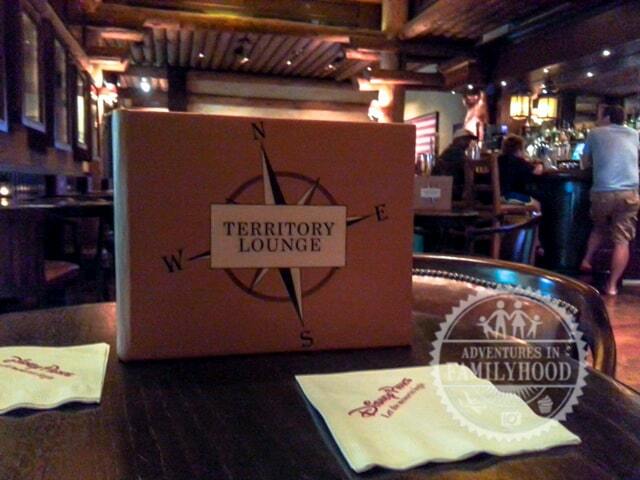 The Territory Lounge is a great place to start an adults night out with some drinks and appetizers. When recently asked which Walt Disney World Resort I’d most like to stay at during the holiday season, I didn’t hesitate to say “Wilderness Lodge.” The warmth and welcoming feeling of the resort is amazing, and it’s sense of seclusion while also being very accessible to the Magic Kingdom and Magic Kingdom Resorts puts all the fun of those places at your fingertips as well. 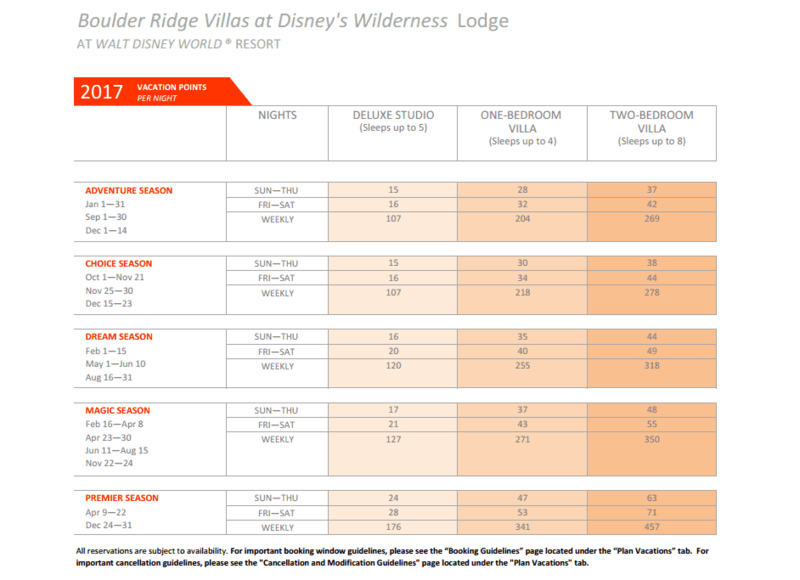 If you’re going to go Deluxe, you can’t lose with staying at the Wilderness Lodge. The price is worth it, especially if you are a DVC member or rent points from one. You can also look for deals directly from Disney to help with the cost. 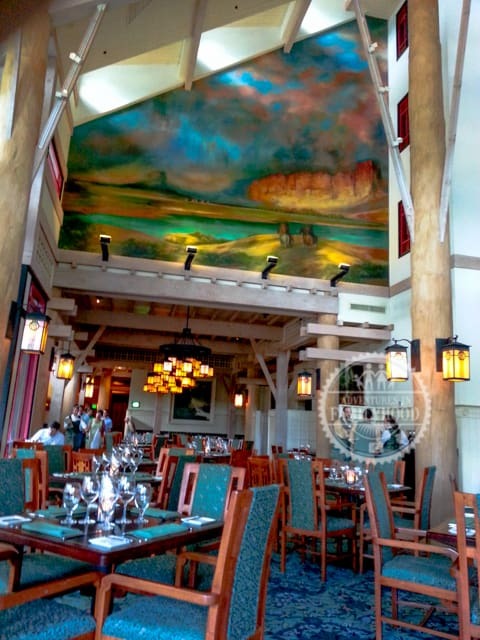 What do you think of Disney’s Wilderness Lodge? Leave a comment and let us know if you agree or disagree with our thoughts! 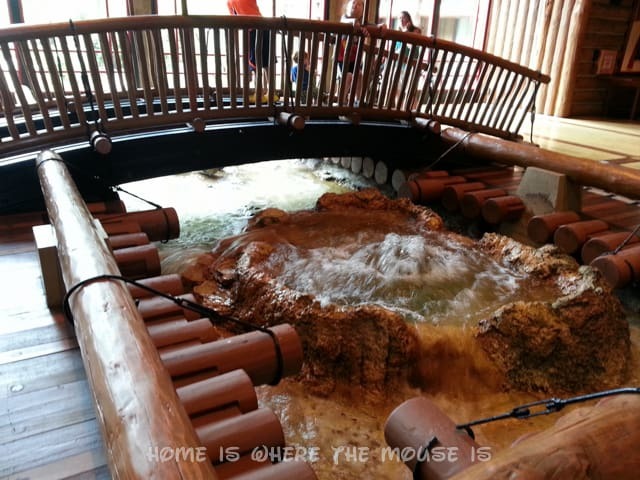 I’ve never stayed at Wilderness Lodge, but I love visiting there. It’s got such a nice, homey atmosphere and I feel comfy when I’m there. I could sit in one of the rockers in the lobby – either at the fireplace or watching the bubbling spring – for hours on end! It’s just so relaxing. Maybe I’ll get to stay there one day. That’s one of things I love about Disney. 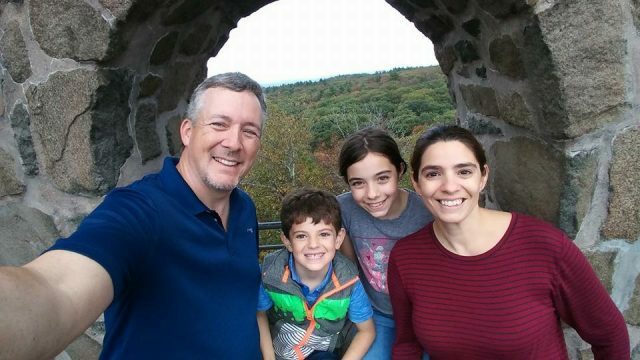 You don’t have to stay at a Resort to make it worth just paying a visit to. 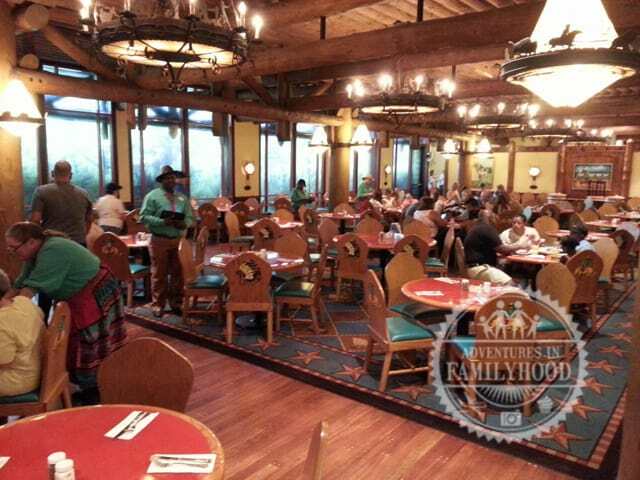 A visit to the Wilderness Lodge to hang out and have a meal is a great way to take a break from the parks! I always suggest this resort to guests who want to stay close to the Magic Kingdom but can’t quite swing the monorail resorts. It’s still an amazing place and it’s cozy and fun. I love all the dining options. I can’t wait until the new DVC rooms are complete so I can stay there! It’s got so much going for it. I don’t know if we’ll be able to afford the new cabins they are putting in, but we’ll definitely be using our points here again. Love the Wilderness Lodge. When our boys were younger this was the go to resort for our family. I loved being so close to the Magic Kingdom and the boys loved the resort theming. My family absolutely loves this resort especially at Christmas time. It’s Christmas themeing rivals The Grand Floridian. We also love taking the boat to and from Magic Kingdom. There chances to get some great pictures of the Magic Kingdom and the Magic Kingdom resorts during the ride. I can only imagine how awesome the Wilderness Lodge must be at Christmas. The one time we went during the holidays, we only toured the monorail resorts. That was a mistake. The pull down bed is adorable! 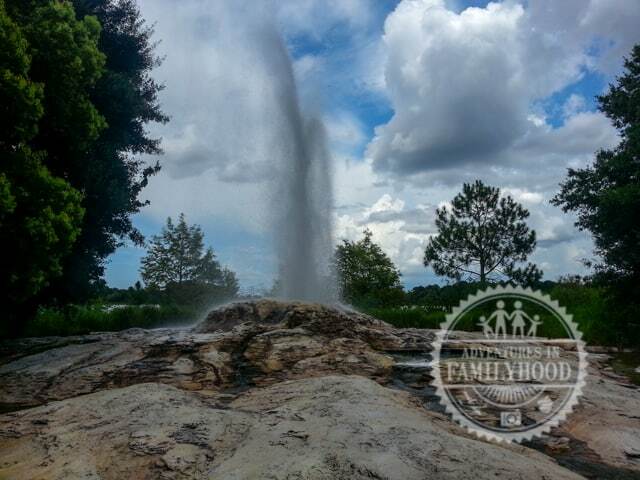 We love stopping by to watch the geyser and grab a beer. Those waffles look amazing! The waffles were awesome. 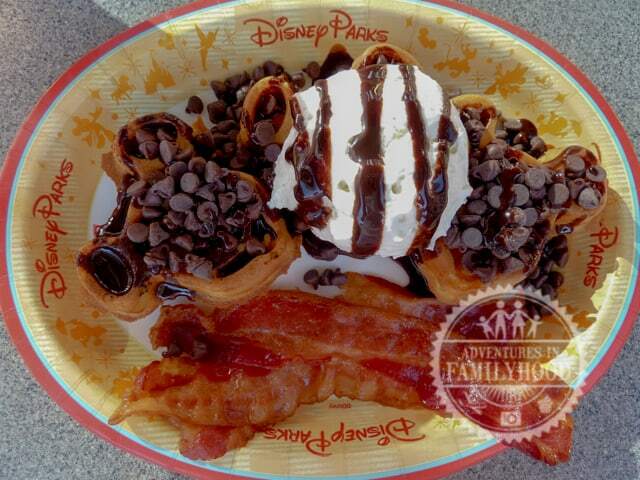 I am planning on swinging by to get breakfast on our next trip, when we’re staying at Poly!! The lobby is so breathtaking – I love that style! Can’t wait to stay here one day. Very helpful overview. Disney resorts have some amazing lobbies. This is one is one of my favorites.